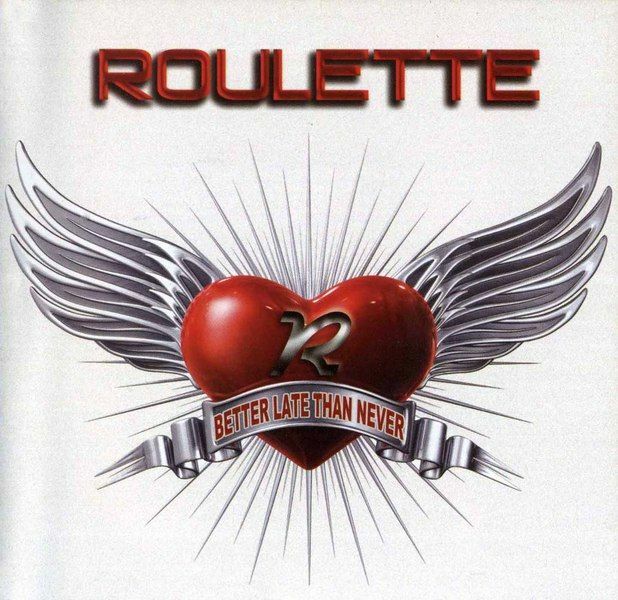 The band Roulette was formed in 1985 in Sundsvall, Sweden. All the guys had been in previus bands with Hansi Fellbrink ex. 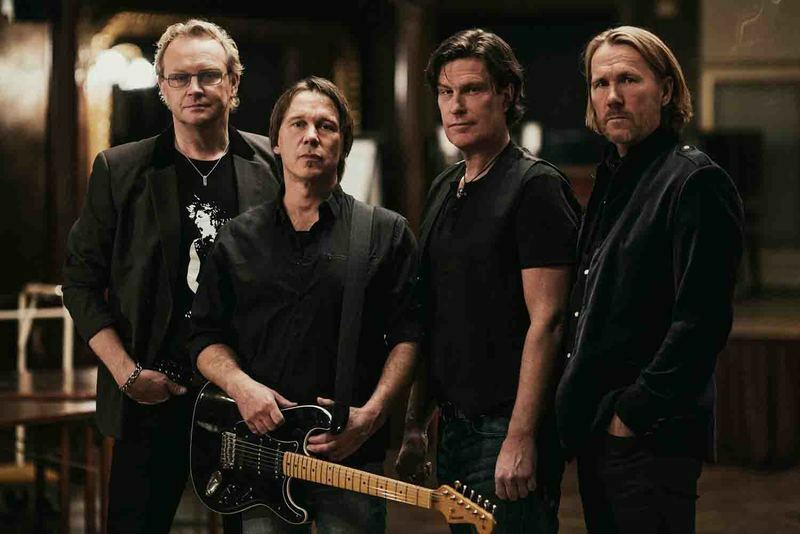 Overload, Lundgren and Nesslin, Red Skies and the Nelin brothers The Kaza 5 young guys who had found each other, "clicked" and started to rehearse songs and play "live" at rock clubs and festivals around Sweden. 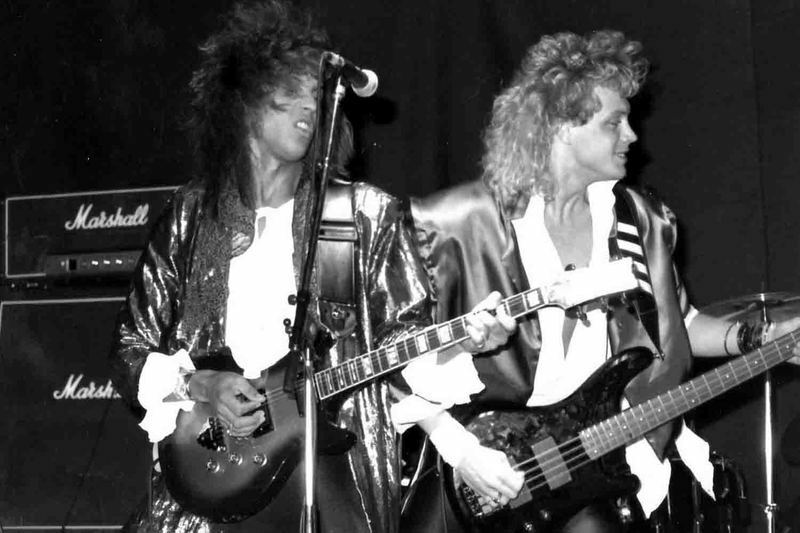 They became one of the most popular bands in their hometown and had a couple of hits on the local radiostations.The year after they took part in the competition POP -86 where they went to the final at Hard Rock Café / Stockholm. In the jury was Tommy Nilsson from Easy Action and Kee Marcello from Europe! 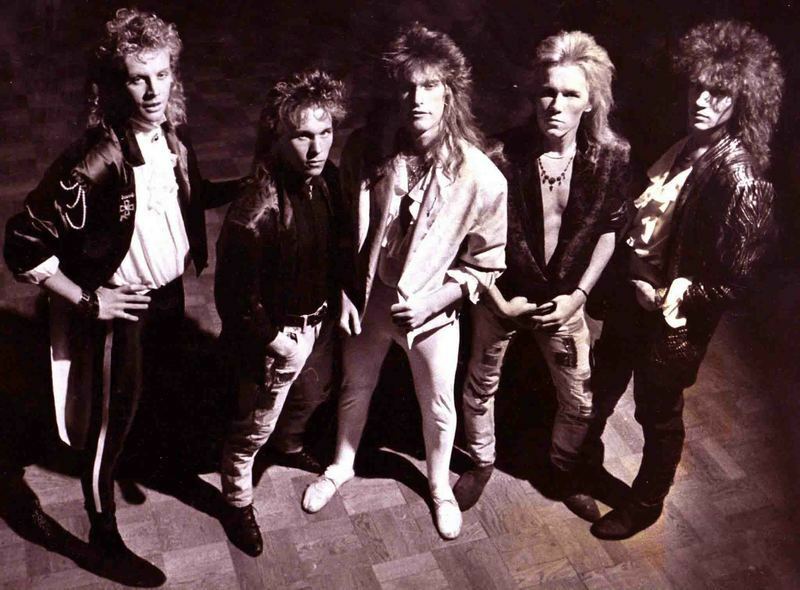 In 1987 the sign a record deal with TAB Records and released their first singel "Hearts Keep On Burning" with Tommy Nilsson on backing vocals!! The second singel was released in 1988 called "Fool for your love", and a video was made to promote that singel. In this period Roulette performed on a lot of Swedish TV-shows like "Top Gear"/Nordic Channel, "Night Life"/TV 3 and "Metropol"/SVT. In 1990, influenced by their prospective label, they changed their name to Cherry Red and won a record deal with CBS. They started to record their first full length album at Stockholm Recording with producer Per Blom, but the album became just a singel called "Only The Strong" and was released on CBS subsidiary label, Cupol Records.In the beginning of 2008 they were contacted by the record label AOR-FM, and they released a 17 song best-of album with ROULETTE singles/demos, called "Better Late Than Never".On the 2 June 2015 they released a new singel called "Secret Room", produced by Chris Rehn at Boxroom Studios. This is a wonderful slice of the classic Scandinavian AOR / Melodic Rock stuff we all love.Founded in 1985 in Sundsvall, Sweden, during the AOR / Melodic Rock explosion (with Europe at the helm) Roulette and quickly became the talk of the town. They toured with, among others, Treat, Electric Boys and Lion's Share and released the single 'Hearts Keep On Burning' with Tommy Nilsson (of Easy Action) on backing vocals in 1987.While Roulette dissolved in the Nineties, in the meantime the group recorded a lot of material, all compiled here.Roulette released some singles (7'' vinyl) which are included here however most of their songs never got a proper release. “Better Late Than Never” deliver 15 songs plus 2 bonus tracks plenty of melodies and guitar / keyboard riffs n' hooks.Songs like 'Hearts Keep On Burning', 'Fool For Your Love', and 'Run Girl' have that Treat / Europe-like harmonies and choruses, with guitarist Magnus Nelin and keyboardist Thomas Nesslin having an equal importance for Roulette’s sound.When they go for a power ballad like “Evangeline” they certainly reach into the Sheriff / Alias tool bag to wrench out every last emotion, especially with the powerhouse high notes from vocalist Thomas Lundgren.The band rocks as well with guitar riff-driven tunes akin TNT, Glory or Alien on the catchy 'Dancin', the rocking 'Turn Me On' and the melodious 'City Heat'. 'Only The Strong' is one of the band's last songs (1991) and one of their best, when operated under the name Cherry Red. The solid 'I Do' is the B-side of that single. "Better Late Than Never" was originally released in 2008 by the AOR-fm indie label (out of print). It had a white cover and 17 tracks. 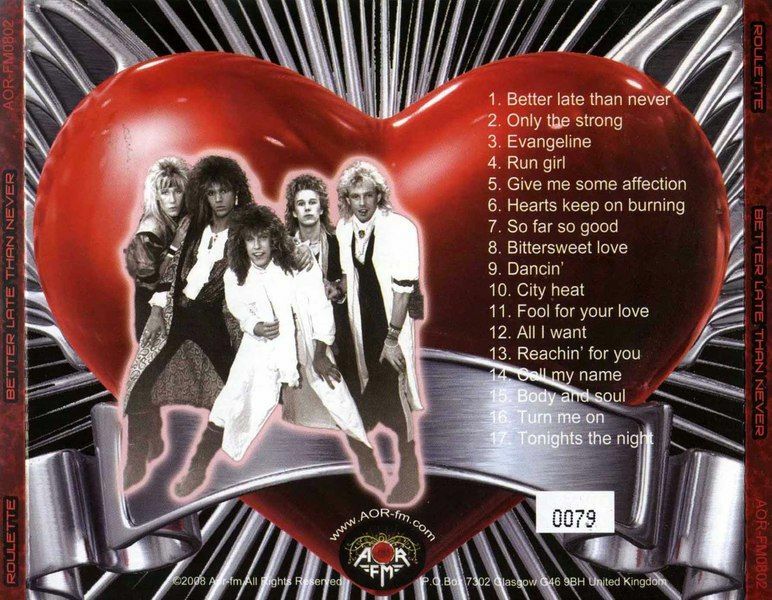 It featured 3 songs not present into this YesterRock release.“Better Late Than Never” should be in all AOR fan collections out there.Roulette really do capture the essence of pure Scandi Melodic Rock / AOR from the golden era, the kind of music that makes you feel good and put a big smile on your face. Návrat na "NOVINKY 2008 / NEWS 2008"